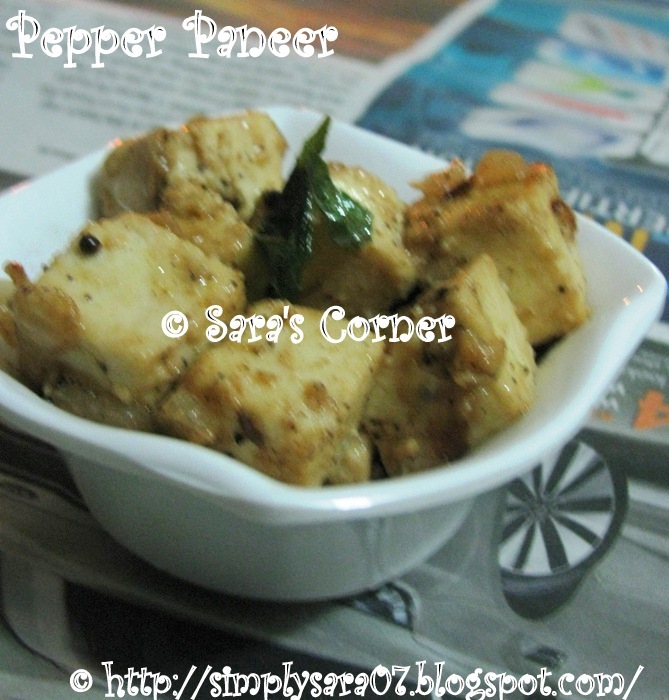 Pepper Paneer is a dish I tried since I wanted to make something different. My family liked it a lot. You can have it with chapathi or rotis. Heat a kadai, add oil mustard, wait till it splutters, then add asafotida, curry leaves, onion and saute till transparant. Add paneer and mix well. Saute for few minutes and off the stove. Pepper Paneer is ready to serve. Serve hot with chapathis or enjoy as it is. 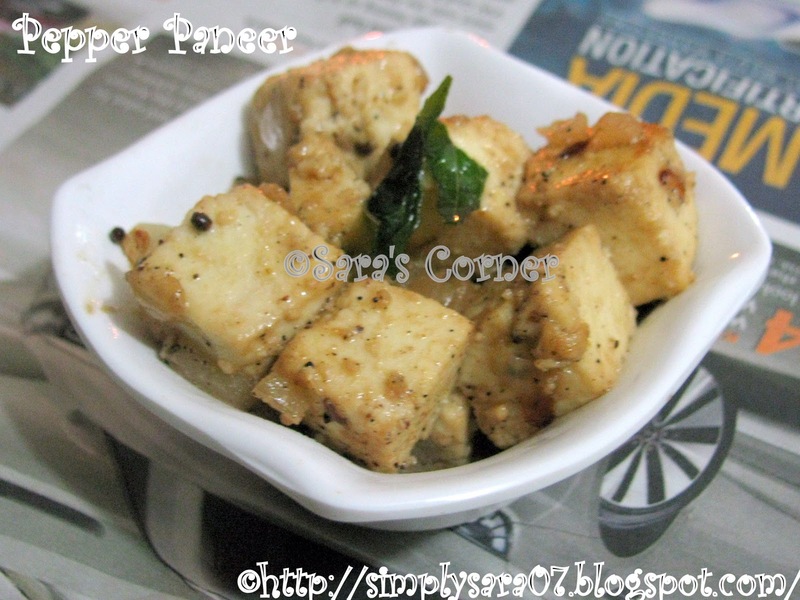 You can also try my previous Paneer Recipes click here. Looks so simple but I bet it's tasty..lovely recipe. So easy to make but no doubt ot tasted fantastic!!! Simple but yummy n delicious. Lovely pics! We do the tempering for this recipe with cummin and not mustard. Looks delicious! Yumm, truly inviting and tempting..
Looks so simple... Bet it would have been really tasty.. Love the paneer pepper combo.. Simple and different way to make paneer. Love paneer in any form,pepper paneer is simple n delicious way to enjoy paneer!